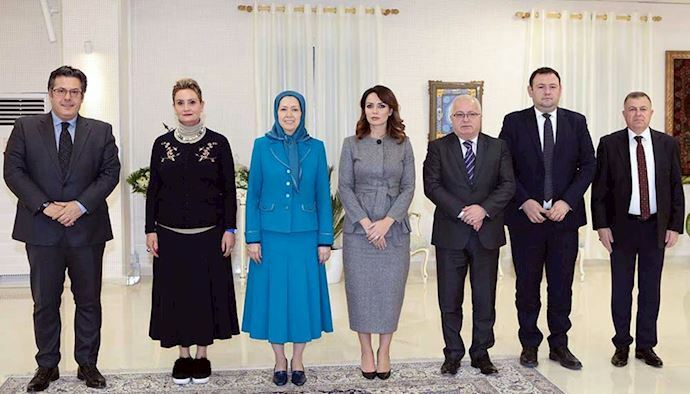 A delegation from the Parliament of Albania, headed by Deputy Chairman of the Parliament Edi Paloka, met and held talks in Albania with Maryam Rajavi on Tuesday evening, December 4, 2018. Five members of the Albanian Parliament, Messrs. Edmond Spaho, Endri Hasa, Xhemal Gjunkshi, and Mses. 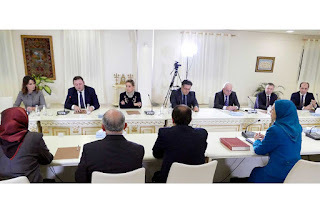 Grida Duma and Valentina Duka, also attended this meeting. Maryam Rajavi extended her appreciation to members and leaders of the Parliament of Albania for their support and expressed her wishes that with the victory of the Iranian people and Resistance, the region and the world would be relieved of the mullahs’ belligerence and terrorism, and a new season would start in the relations between Iran and Albania.